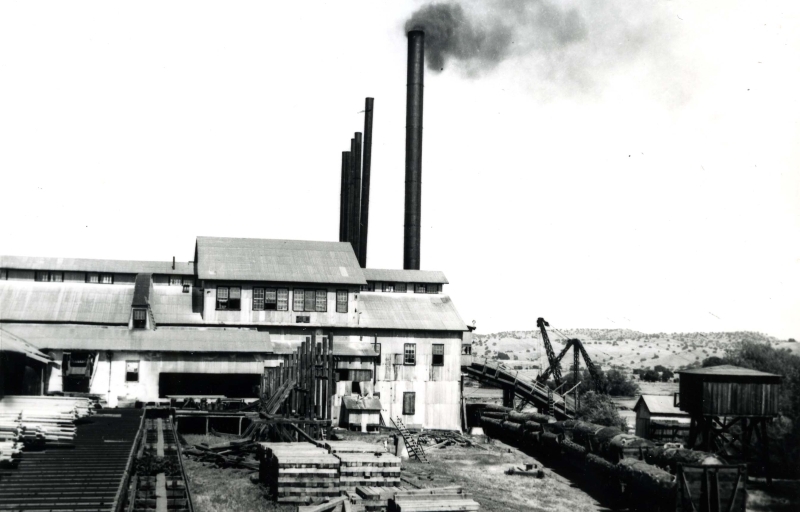 Merced County Courthouse Museum will open “Yosemite Lumber Company at Merced Falls” exhibit on Thursday, March 8 at 5:00 p.m. Once the Yosemite Lumber Company was established in 1911, Merced Falls became the industrial center of our farming county. A little over 40 years later, the demise of the mill turned a thriving community into a ghost town. Today, nothing remains but crumbling foundations. This photo exhibit documents the community life and business operations of Merced Falls and its connected logging camps. In addition, a digital mapping display reconstructs the infrastructure of the sawmill and the living quarters. 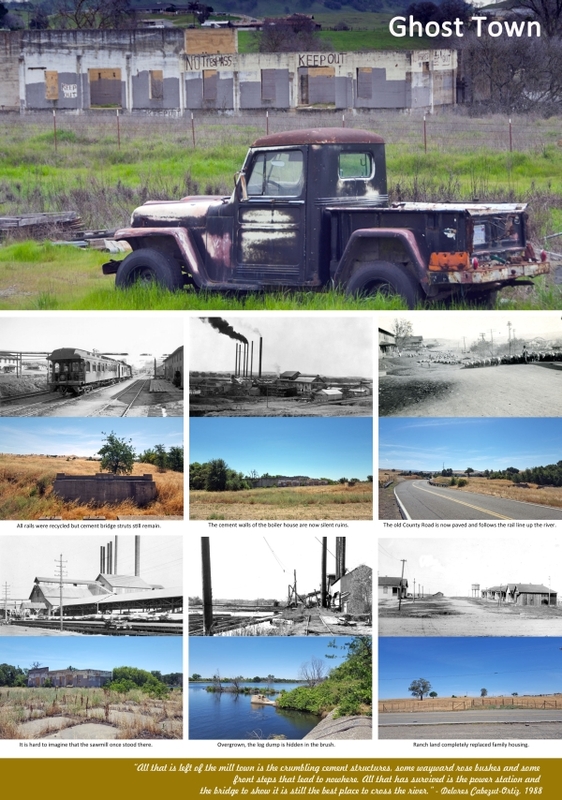 At the exhibit opening, local historian Grey Roberts will give a PowerPoint presentation titled: “Merced Falls: Once the Industrial Center” at 6:00 p.m. For more information about the exhibit, please contact the Courthouse Museum at 723-2401. The exhibit and opening program is free to the public. Eighteen brick dry kilns were constructed in winter of 1923. 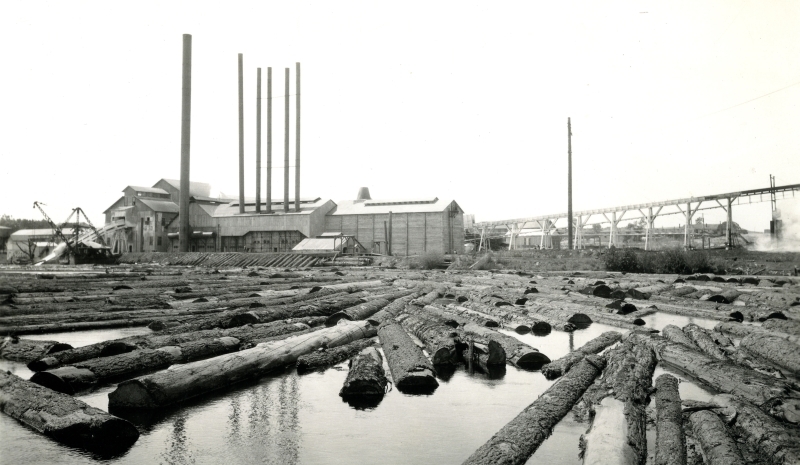 The Yosemite Lumber Company operated a mill at Merced Falls from 1912-1942. 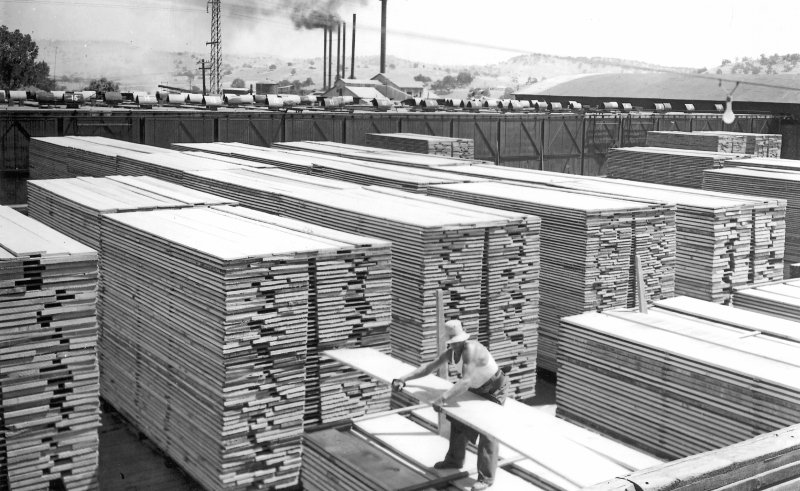 The Yosemite Lumber Company made Merced Falls once again the industrial center of Merced County. Ghost Town: With the closure of the mill, Merced Falls became a ghost town. This is one of the story boards on display.